Blogging is trending these days and being quite familiar. We read a lot of articles a day while browsing to get required information over the internet. And we become delighted when we get helped for the same. It happens only because someone has shared their knowledge by putting it into an article. The blogs can be written on various topics which we are interested in. Ahh! just a moment, let me correct myself. So not just interested in something, in fact, we should choose a topic which we love the most. As continuing, something for a longer period can only be possible if we love the topic. So thinking of starting a new blog on a subject which you like the most. Awesome…!! Great choice.. go ahead and share the knowledge you got, and moreover, we can also earn few bucks by monetizing it. So now the question where to start, how to start..isn’t? We have plenty of Blogging platforms. WordPress (Self Hosted), Blogger, are the most popular ones. WordPress is the self-hosted one, so most of the new bloggers start their blogging career or hobby on Blogspot, as its free to start with. We can create a blog in just steps and-and free of cost, without any investment into it, So why not to start it. I hope you have chosen your blog topic, so let us get into the process to start a blog step by step in detail. Here we will get into a step by step process of creating a blog in blogger. Step 1. Login into Blogger.com with your Gmail login credentials. Step 2. Once logged in to the blogger, we will be able to see the blogger clean and simple dashboard. Title of the Blog – We can choose a suitable title for your blog, which is going to appear at the top of the blog (Below the URL box). This would be quite important as it describes your blog in a few words in the very first impression. 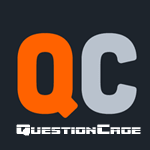 For Instance – My blog name is question cage, so if we enter it the address can be seen like questioncage.blogspot.com. One thing which we have to keep in mind that every blog has a unique web address. And of course, we can change that domain later, if we wish to, we can buy any custom domain from any domain sites, like GoDaddy, BigRock, Namecheap and more, though it’s not compulsory. But I would be recommending to purchase a domain if you want to monetize it. Choose Template – In the Template section, we can choose any template we want to, blogger has some collection of predefined templates. Selection any template from the collection you like. Click on Create blog button” to create your first blog. Step 5. It will take you to another window. check the image below for better insights. Here your can see the blog name which we have entered in the earlier window. Now we are ready to go, we can start posting now by clicking on the “New Post” button. As clicking on the new post button it will take us to another window, where we can compose our post. Step 6. Now in the Compose window, we can start writing our article on our desired topic in a proper order. Create a post Title – It should be well thought, so that the viewer could find it interesting and wants to read the article, as in the homepage of the blog only titles gets visible of all our posts. If the user finds the title interesting then they might click on it for reading the entire article. Formatting Options – There will be all the formatting options to make our content of the post much richer, it is just like as we create an email. In fact, more than that, we can change the font size, Text formatting, Creating links (hyperlinks) to the text, adding images, adding videos, bullets and more. I have created a small post to show, how we can do it. Check the Image below for better understanding. It would be fun to create a post if you love the topic you are writing. Once the post has been created we need to publish it, so that it could be visible to the entire world. That is what we want, right? Our knowledge should be shared among all. In order to do that Hit the Publish button. Once published it will take us to the previous page where we have started creating a post. Check out the below image that the post which we had submitted a while ago is visible in the post column now “This is My first Blog Post“. hurray…!!! our very first post has been published…..!! Step 7. Now it’s time to add some menu option to our blog. Menus can be added for a proper page navigation so that a user can navigate all the pages easier to view the posts. Step 8. Once clicked on Add To Gadget, a window will popup. Step 9. Scroll in a bit and Choose “Pages” and click on + icon next to it. Step 10. A window will Pop Up, asking for configure page list, here we can add the required number of menus which we can to see on the blog by click on the +Add external link. Check the below image for better insights. Page Title – Here we can add the page will appear in the menu. Web Address – Here we can add the URL of the page so that if the user clicks on that menu they will be redirected to the page of which URL is. We can add any external or internal link in that. Do check the below image for better understanding. Step 12. It can be seen in the below image that we have two external pages apart from the Home menu which will be created by default. Tutorials and Video Tutorials are the two pages which can be seen. You can add any of your choices. Step 13. Click on the Save button, and we are done. with a creation of our basic blog. Step 14. Now the next step is to check the output of our blog and in order to do that click on the View Blog button from the Blogger Dashboard. We can see an example blog page in the above image. This is a basic and default template for the blog. You can choose from plenty of templates online. If you want to change the look of your blog completely. I have done the search for you and would recommend these Awesome Responsive and SEO Friendly Blogger Templates to beautify your blog.